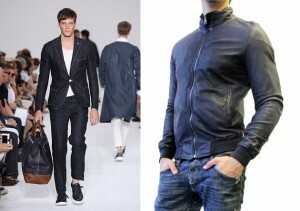 Trending this spring and summer will be “slick urban clothing” items such as thin, dark blue leather jackets and gray suits. You’ll also be seeing cut-off and brightly colored board shorts, and fedoras. While dark jeans will remain a staple of the well-dressed man’s wardrobe, they will be of the skinny type, outfitted with complementary 50′s era trim polos, earth-toned tanks and light jackets. Designer warning – avoid mixing similar dark colors like dark brown with navy or black, and definitely get rid of the bulky items. 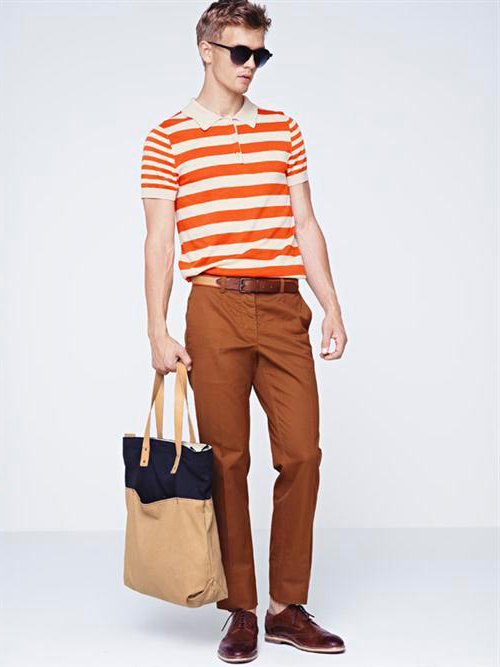 To be seen in the hottest locales this spring and summer will also be bright colored flannel tops, high-folded pants and no-lace tennis shoes in neons and other bright colors. Accessories will see culture-influenced items, such as Guatemalan and Navajo-patterned belts. Neckties will become more elaborate, bowties will rise in popularity, and men’s jewelry will continue to increase in sales.